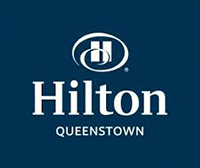 In 2011 we opened two hotels in Queenstown, the Hilton Queenstown and Kawarau Hotel managed by Hilton. During the development stage we engaged Patti Ainalis and her team at PC Corporate to design the uniforms for our teams across the village. Our project had a very tight turnaround time from design to completed garments and incorporated two hotel uniform designs plus five food & beverage outlets. Patti and her team were very flexible and able to turnaround changes in a very short lead-time. The finished products have been in use now for one year and have stood up to washing and environments well. We would not hesitate to use Patti and her team again and would recommend PC Corporate to other organisations.